Toni and Miquel, setting the mark for New Catalan Wines. Toni and Miquel, who grew up in vineyards, started making their own wines in 2006 after of years of working for other cellars. Toni makes vibrant and well-defined wines, while Miquel is a true artist for design and running a wine cellar. 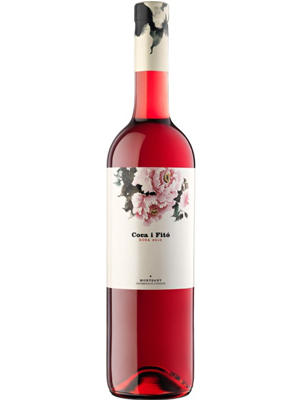 Their cellar is located in Masroig (“red house” in Catalan), a land of red clay, slate and limestone soils that is home to bush-vine Carignan and Grenache. The two brothers have moved at a lightning pace, continually releasing new wines and increasing production on their established ones. Now they are the proud parents of 15 different wines in all! Toni is a master in getting the most out of his grapes: mature fruit expression and structure without sacrificing freshness. It's no surprise that he is sought after as a consultant throughout the country. In fact, he works for over 15 different projects. They’ve outgrown their current cellar and need more space. They found a beautiful property in the same village of Masroig on which to build a new cellar. The property also adds seven more hectares of old-vine Grenache and Carignan to their vineyards, bringing the total to 15. The brothers plan to begin construction on the new winery in 2017. This is a dynamic duo that has earned an excellent reputation based on their outstanding performance. Keep your eyes on these two.